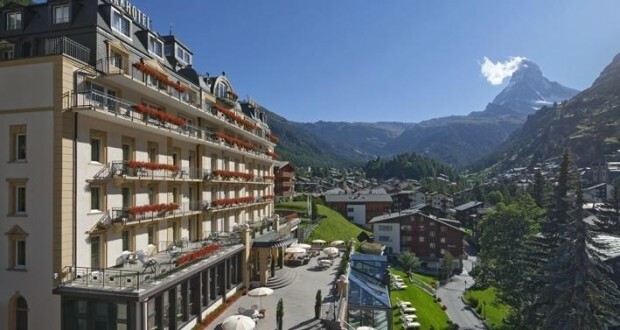 The elegant Parkhotel Beau Site can be found on a scenic yet central place in the car-free village of Zermatt and offers you luxurious rooms, upscale cuisine, spa facilities and free Wi-Fi. You can spend relaxing moments at the open fireplace in the piano bar, enjoy gourmet cuisine in a festive atmosphere and spend peaceful nights in your spacious and stylish room. Part of the rooms in the Parkhotel Beau Site boast superb views towards the Matterhorn mountain. The train (440 yards) and cable car (220 yards) stations can be easily reached by foot. Transportation to the hotel on arrival is included in the rate.